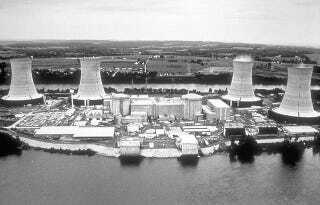 At about 4:00 in the morning of March 28, 1979 the main events leading to the accident at Three Mile Island Nuclear Generating Station began. The short explanation is that it was combination of mechanical and human failures that led to the meltdown. Here's a PBS documentary from 1999 that explains in more detail.